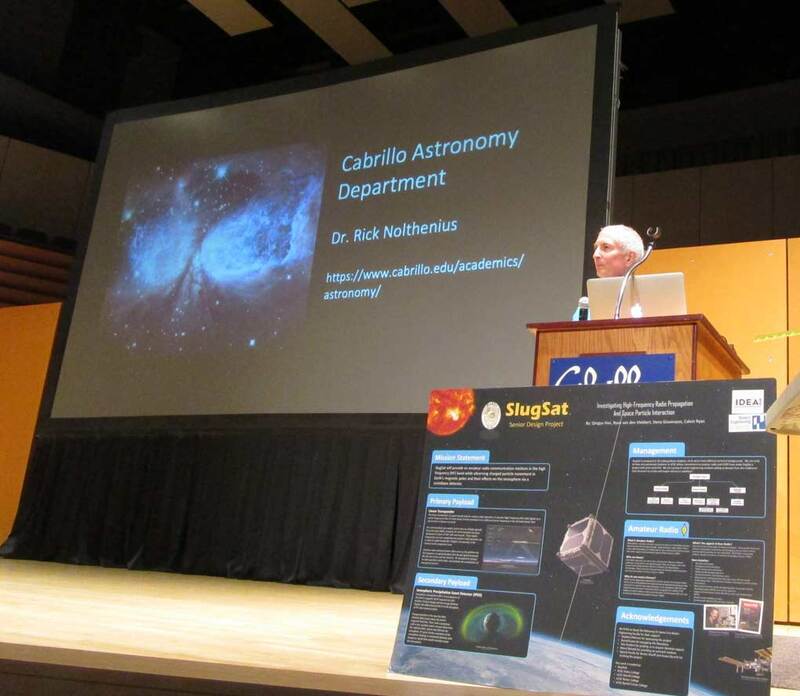 The Cabrillo College Astronomy Dept and local engineer Don Taylor put together a great evening for our local STEM students, the community of ham radio operators, and the rest of our community. 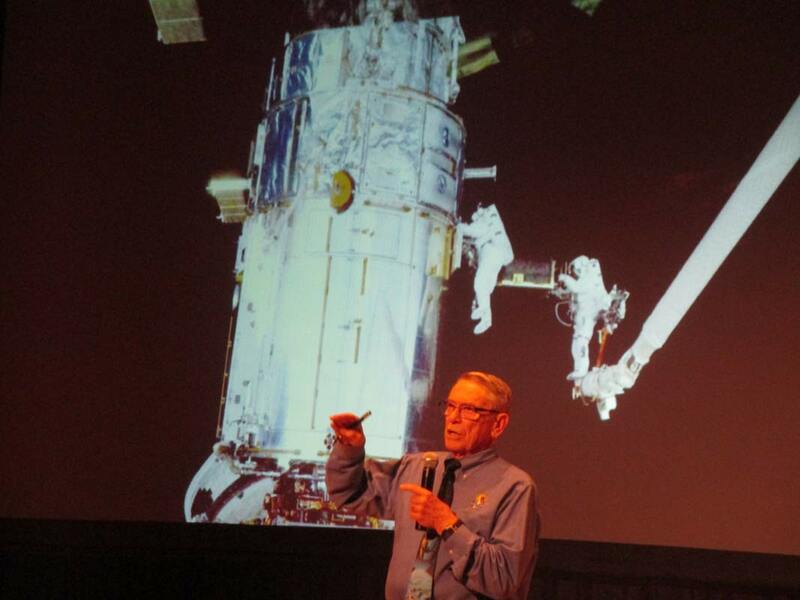 The headliner was Ron Sheffield – the Lockheed engineer who designed the modular interfaces for the science packages and subsystems on the Hubble Space Telescope, and trained the astronauts who accomplished the famous repair mission, and the upgrade Shuttle Missions later on in the very long 28 year mission of Hubble. 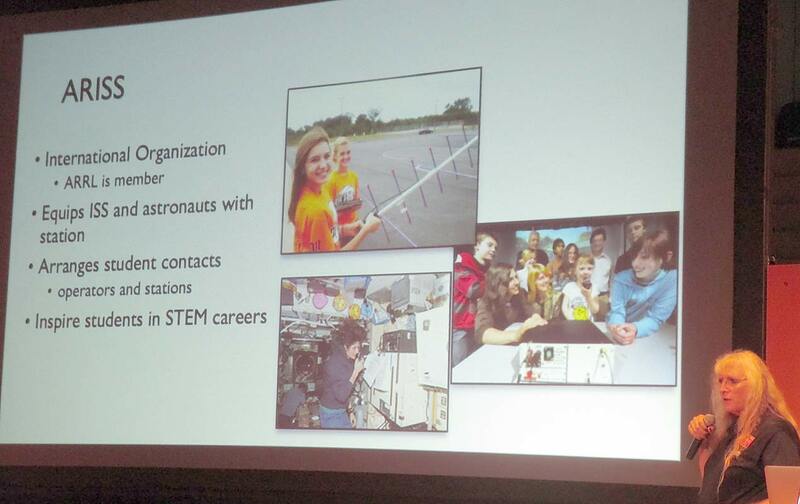 Also featured were the leaders of the student team heading the CubeSat Project at UC Santa Cruz, designing satellite science packages for launch, and how STEM students can use ham radio to talk to do critical emergency communications, relay to the astronauts of the ISS, and other science. 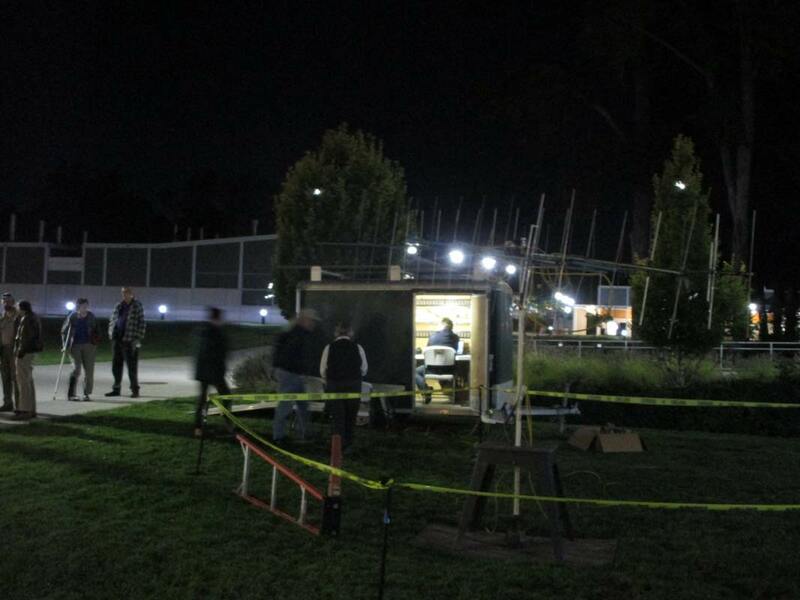 Outside, was set up a full-on ham radio mobile shortwave radio station, with communication to the International Space Station astronauts at the close of the program.